Minister for Energy, Water Resources and Irrigation of the Government of Nepal Barshaman Pun was the Guest of Honor. 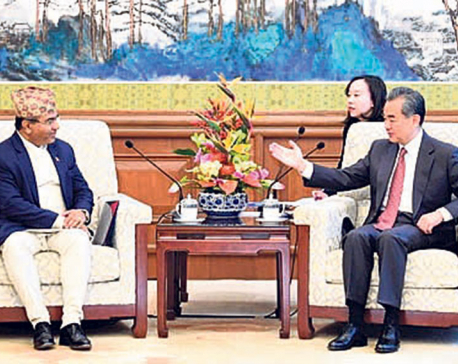 The forum brought together Chinese energy companies and entrepreneurs, as well as senior officials of the Government of Nepal and businessmen and representatives of companies from Nepal for interactions on facilitating Chinese investments in the hydropower sector. 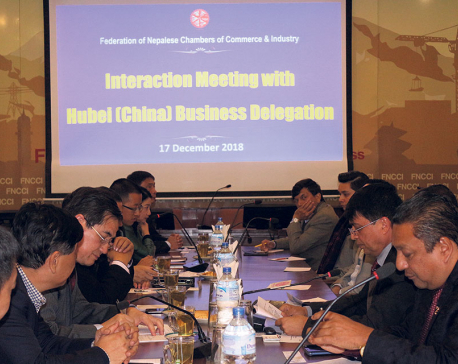 More than one hundred and twenty participants including representatives of public and private sector companies of Nepal and China, senior office-bearers of Federation of Nepalese Chambers of Commerce and Industry (FNCCI), Non-Resident Nepali Association (NRNA), Independent Power Producers Association of Nepal (IPPAN), representatives of Asian Infrastructure Investment Bank (AIIB), and media persons also took part in the program, the Embassy of Nepal in Beijing stated.